Kyocera claims to be the creator of smartphones which are capable of charging under any circumstances. It usually produces rugged and waterproof handsets, such as the Brigadier which was backed by Bear Grylls. The company is unveiling the latest solar powered prototype capable of charging anywhere as long as it’s not cloudy or too dark. The unveiling will take place at Mobile World Congress in Barcelona. The concept pone makes use of its display for the conversion of sunlight into power and although we have already seen a number of gadgets that transform sun rays into power for battery, they all usually relied on solar cells that had to be affixed on the body. Kyocera prototype, on the other hand, makes use of a transparent photovoltaic layer which can either be placed beneath or on top of the touchscreen. 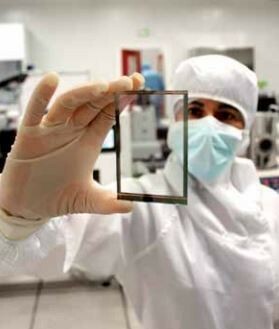 The unique technology has been created by Sunpartner, a company that manufactures a display layer capable of power generation too. It is named as Wysips. A chip is connected to crystals and creates power from solar energy which is then stored in the battery of the device. According to Sunpartner, Wysips can deliver up to 5 milliWatt-peak/cm2 while claiming that this number would double owing to the next generation of photovoltaic materials. Wysips is only 0.1 mm thick and hence can be embedded quite easily without impacting the aesthetics of the design. 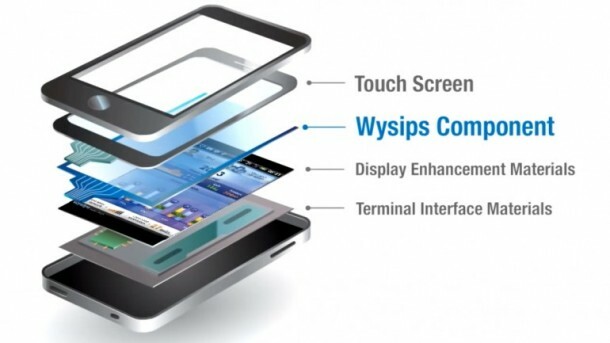 The company has also claimed that this layer doesn’t affect the touch features of a display. Although it is going to be hard for new smartphones that are on the high-power end to be self-sufficient through solar energy, devices that use lesser power can easily become charger free. A TagHeuer watch that features this technology claims to have ‘infinite power’. According to Sunpartner, when it comes to smartphones such as the one by Kyocera, the technology could allow for unlimited standby time as long as sunlight is available. From a selling point of view, having a smartphone that can keep a reserve of battery even when the network signals keep dropping would pay off in the field. 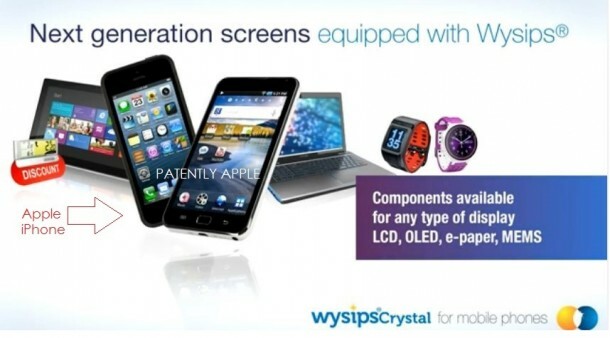 Sunpartner has also claimed that the system can easily work with displays that vary from 3 to 13 inches and include phones, smartwatches and tablets. What do you think of this technology? Can we really go charger free or is it just a thought? Let us know what you think in the comments section below.